Entity Framework 4.1 has introduced the Code First Approach with it’s Fluent API and Annotations.In this series of posts we will focus on the Annotations part of it and how it can be used to build the domain model and map it to the database. Unable to determine composite primary key ordering for type ‘EFAnnoations.CourseInstructor’. Use the ColumnAttribute or the HasKey method to specify an order for composite primary keys. 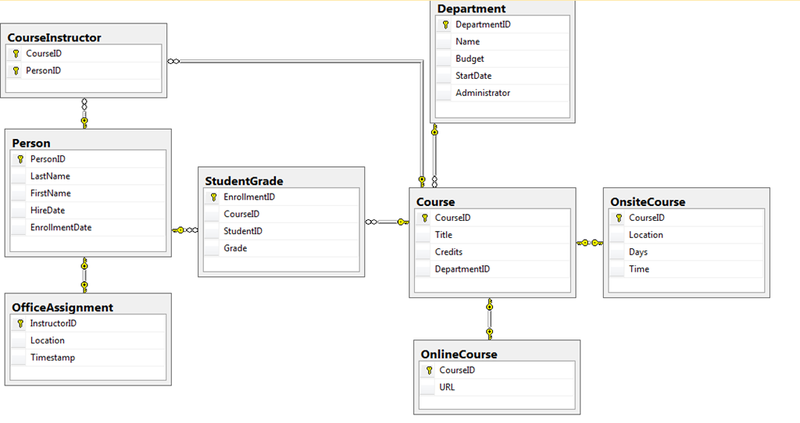 Next post onwards we will start exploring how we can establish the different types of relationship in our entity model.